Senior Advocate P P Rao has taken strong exception to the proposed resolution (Resolution No.1) of the Supreme Court Bar Association sought to be moved in its General Body Meeting on 8th of July, 2015 whereby the members seek to resolve not to participate in any Official Functions with Hon’ble Judges of the Supreme Court, including References, Independence Day and Law Day functions and not to give farewell functions to retiring judges of Supreme Court. In a strongly worded e-mail addressed to Ms. Aishwarya Bhati, Secretary of the Supreme Court Bar Association [which has been accessed by “Live Law”], Mr. P P Rao has demanded that the SCBA reconsider the proposed resolution. Mr. Rao has however supported the second resolution to file a Writ Petition in the Hon’ble Supreme Court to ensure that the Members of SCBA get all the facilities as are needed to enable them to perform their duties towards their clients, to ensure proper justice to them and to enforce their Fundamental Rights etc. Mr. Rao states in his e-mail that grievances against individual Judges, if any, should not be projected as grievance against the Court in which the lawyers practise. “ Individual Judges and lawyers come and go, but the Bench and the Bar will go on forever,” added Mr. Rao. Responding to Mr. P.P. Rao’s “earnest appeal” to members of the SCBA to reconsider resolution no.1, the President of the Supreme Court Bar Association, Mr. Dushyant Dave has sent a reply mail expressing his disappointment at Mr. P P Rao’s stand. Mr. Dave has expressed his surprise at the fact that Mr. P P Rao chose to advise the Bar instead of using his good office and standing to talk to the Chief Justice of India to sort out the issues. He has termed Mr Rao’s counsel to the Bar as to its duties and obligations as totally irrelevant. Mr. Dave writes “I truly wish that instead of reminding us of our duties and obligations, which I humbly submit are totally irrelevant, you Sir, had reminded the Hon'ble Chief Justice and the Court officials of their duties and obligations towards the Bar and it's Members. Your stature is such that you could have easily prevailed upon them to see the harsh reality in absence of decent facilities. You have and can meet the Hon'ble Chief Justice to bring about Just solution to this vexed problem. “Far from the strengthening the Bar, over the years the bar has become weaker and weaker largely due to the failure of the Leadership of the Bar. The leading Lights of the Bar have done precious little to help the Bar benefit in terms of its status and facility. 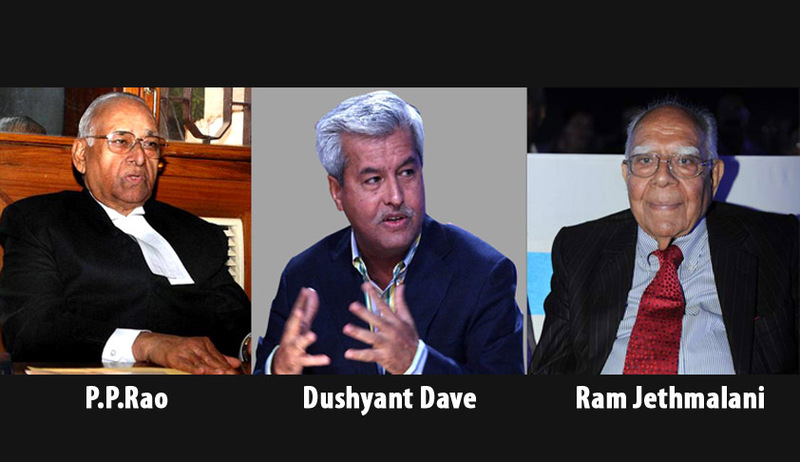 Read P.P.Rao's letter and Dushyant Dave's reply here.